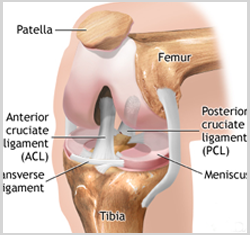 Knee Joint Is Composed Of Three Bones. Thigh Bone Called Femur, Shin Bone Called Tibia And Kneecap Called Patella. Particular Surface of All These Is Covered By a Smooth Surface Called CARTILAGE. Normal Cartilage Prevents Friction between Bones and Provides Pain Free Smooth Movement Like Flexion and Extension. Between Cartilages Of Femur and Tibia, There Are Two Meniscus Medial and Lateral. These Menisci Increase The Surface Area and Also Aids In Preventing Friction While Flexion and Extension Movements. These Menisci Also Prevent Jerks and Increase Its Stability. Surfing from the knee pain in jaipur, beawar, udaipur, rajasthan or having a knee problem in ahmedabad, Gujarat? Dr Saurabh Goyal is the best knee pain doctor in Ahmedabad. 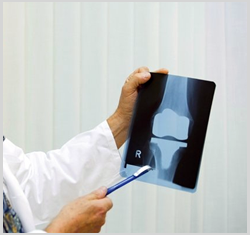 Dr Saurabh Goyal offering affordable treatment for the knee related diseases. If you have any issue feel free to contact Knee Pain expert in Ahmedabad, Gujarat, Udaipur, Jaipur, Beawar, Rajasthan, Gujarat and all over India. Between Patella And Femur And Above It, There Is A Special Oiling Device/Mechanism Called Synovium. This Synovium Fluid Works As Oil as In Any Machinery for Its Smooth Functioning. 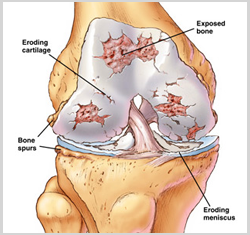 As Age Advances, This Cartilage Degenerates And So Two Bones Rub Against Each Other, Which Is Called ARTHRITIS. There Are Different Types Of Arthritis. Just like a New Car’s Tire Has Marks on It but after Long Usage, These Tire Become Flattened. Same Way Cartilage Gets Rubbed Between Two Bones And Underlying Bone Becomes Exposed. Damage Or Absence Of Cartilage Leads To Friction And So The Patient Has To Suffer With Pain. There Are Multiple Factors, Such As Obesity, Sedentary Life Style, Age, Female Gender, Intra Articular Fracture Or Fracture In Close Vicinity To Knee Joint Etc. Which Are Responsible For OA. 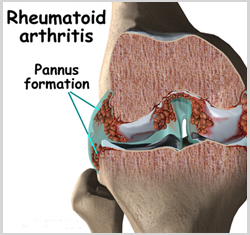 RA Is An Autoimmune Disease In Which Synovium Gets Inflamed And It Damage The Joint. It Damage Cartilage And Bones Become Softened. If RA Is Of Long Duration And Cannot Be Controlled With Medicines, Loss Of Muscle Wasting Occurs; Cartilage Gets Eroded And Develops Various Deformities. RA Can Affect All Joints, Commonly Small Joint Of Hands, Wrist, Elbow And Knee Are Affected. In This Disease Process, Osteoporosis (Softening Of Bone) Is Enhanced And So Bones Are Quite Fragile. Generally, The Pain Associated With Arthritis Develop Gradually, Although Sudden Onset Is Also Possible. The Joint May Become Stiff And Swollen, Making It Difficult To Bend Or Straighten The Knee. Pain And Swelling Are Worse In The Morning Or After A Period Of Inactivity. Pain May Also Increase After Some Activities Like Walking, Stair Climbing, Or Kneeling. The pain may often cause a feeling of weakness in the knee, resulting in a "locking" or "buckling." Many people report that changes in the weather also affect the degree of pain from arthritis. Do I need a Surgery ?